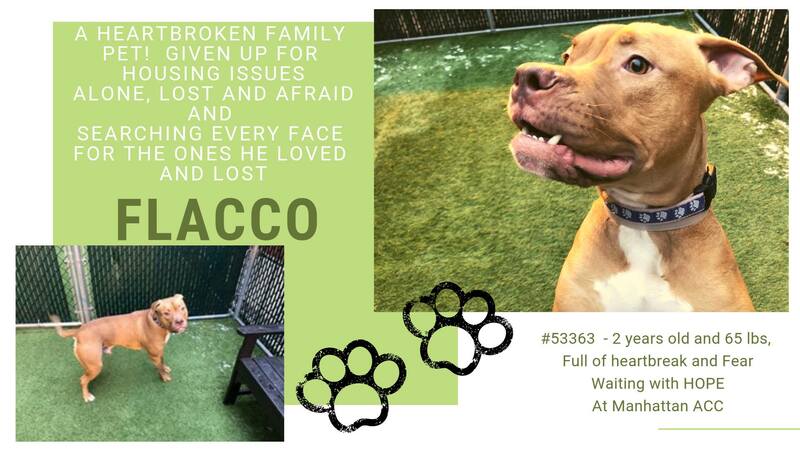 FLACCO located in New York, NY was euthanized on Feb 2, 2019! ***New York Animal Care & Control takes in 8,400 dogs a year. This dog's status can change at any time. Adopters and fosters save lives! Act quickly if you can help. When inquiring about a specific dog, be sure to reference the dog's ID number.